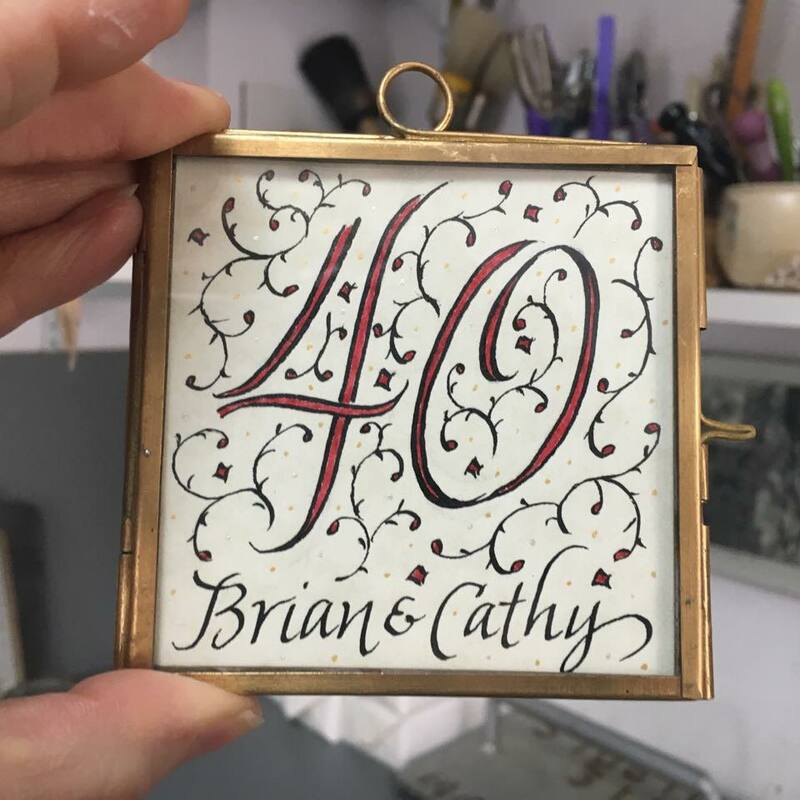 The time in the studio when I make gifts for friends and family is in a special category, filled with love. While I love my work and feel more and at ease as I increase my understanding of the process of letting it unfold, there are certain expectations of work for exhibition that make it unlike the complete freedom of making gifts. I made this for friends' fortieth wedding anniversary. I used a speedball c-5 nib and sumi ink for the black. I chose a deep red to fill in between the lines since ruby is the gift for 40th anniversaries. There are tiny dots of gold and silver made with my first use of my new fintec watercolors (love them). I had purchased the brass locket (3" square) during a trip to Montreal with my daughter a few years ago and I am now looking for more online. 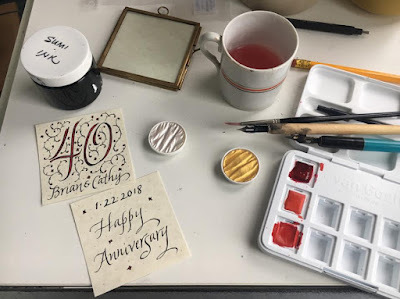 I think this is a great idea for small gifts although I suspect numbers are more welcome for anniversaries than birthdays. Next week I'll be sharing some gifts I made for Christmas.